I think these bad boys are pretty functional. They are a Halloween decoration and edible! Kids will love 'em (I hope) and these days, traditional homemade treats such as caramel apples are not so popular with cautious parents. However, decorating store-bought candy is an easy way to give something special to your trick-or-treaters. Tootsie Pops (hello, edible portion of the project) - $2.50 for a bag of about 22 pops. My total - 8.98 plus tax = $9.30 for 22 Vampire Suckers. Make your vampire fearless with a dab of red marker on the fangs; want a friendlier look forget the marker. 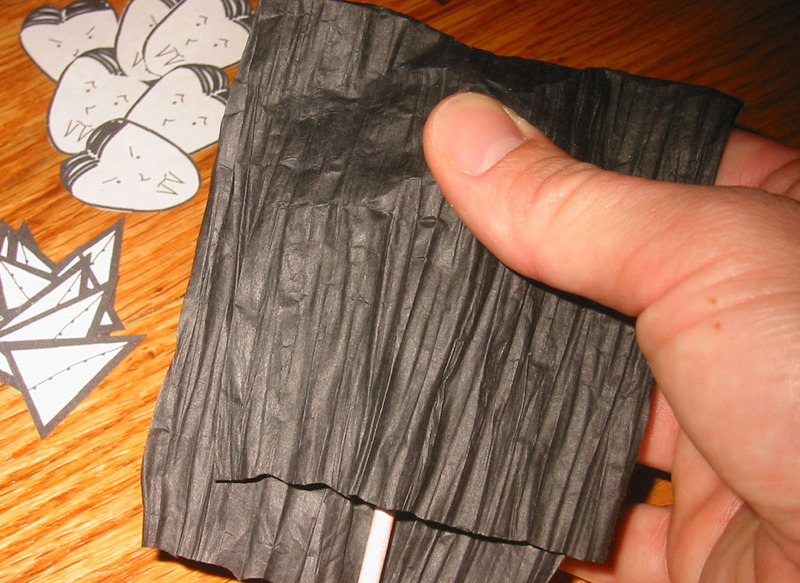 First, ball up the brown bag to make a it all "crinkly" and then color with the thick black marker, be sure to color the front and the back side. Cut a rectangular piece measuring 3 inches by 8 inches long. 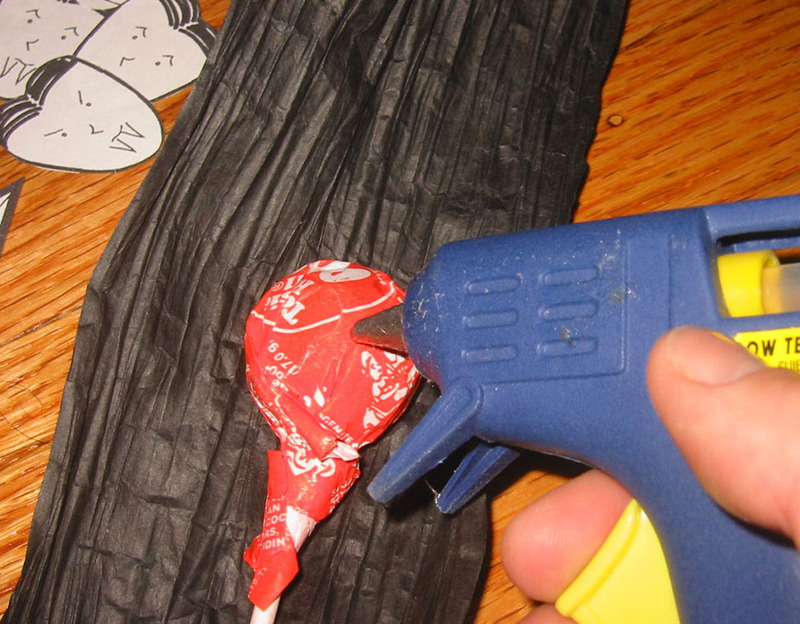 Apply glue to the sucker wrapper and fold paper over sucker. Apply glue to the vest cut out and attach it to the middle of the sucker. 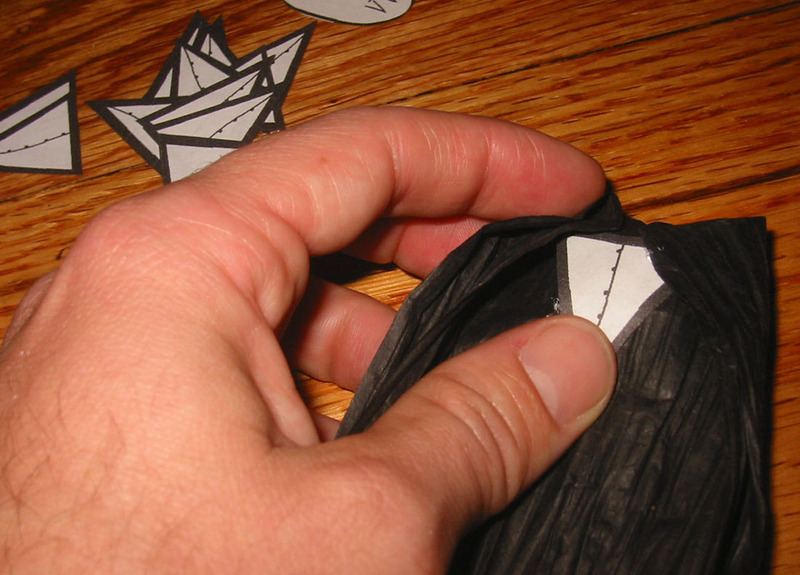 Apply glue to the top two corners of the paper and wrap around to cover the top portion of the vest, forming a collar. Apply glue to the bottom back portion of the face cut out and attach it to the top portion of the sucker. Allow to dry and repeat process with remaining candy. AWESOME!! I was thinking about having a Twilight type party soon and these would be perfect! And how awesome are the details of the vest? what a great idea! My kids have a party to go to and this would be such a great treat! Cute! Perfect for Halloween party favors! ahh oh man im making those for my daughters halloween party!!! 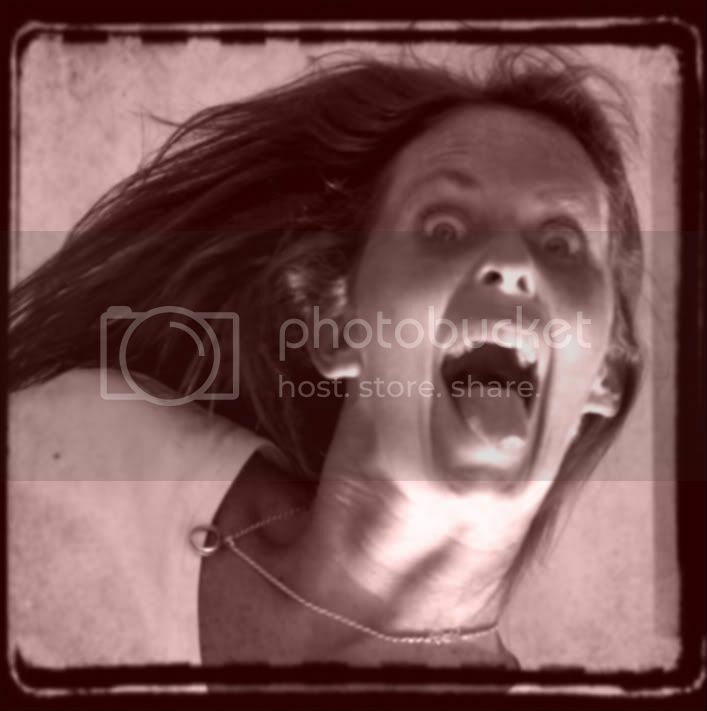 Fiber Indie eXperience: Have you had your FIX today?